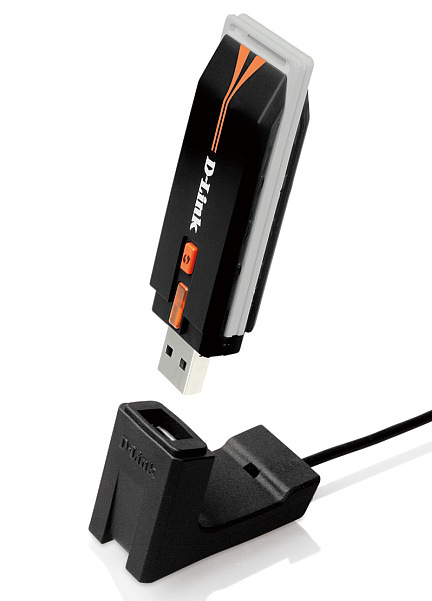 today we tested the D-Link DWA-125 USB WiFi dongle with the IGEL Linux V5 (Version 5.02.100). The device workes fine and we were not able to find any issues. i got the results for one of the first Universal Desktop Converter 2 (Universal Desktop V2 5.01.110) migrations, thanks to Kent for providing these results! WiFi: Not working, using an Dlnk DWA131 USB. GFX Card: 1366 x 768 are working fine. sometimes user try to setup a roaming solution together with Thin Clients and discover different connection issues and the roaming in general works bad. – The WiFi Adapter is not designed for a roaming enterprise solution – This happens very often and mostly WiFi devices are designed for a stationary or home/office use where roaming is not required by default. This includes also the WiFi Adapter used in the IGEL extension food and nearly every WiFi Adapter sold at retail market’s. – To small Antenna’s, a USB WiFi dongle comes with a 2 up to 5 cm (1 or 2 inch) antenna and this is in general no deal for a roaming WiFi connection. If you compare this to a Laptop antenna, which is very often 15cm or more included into the display part of an “enterprise” Laptop, it has no Chance to provide a good result. Retail home use Laptop’s do also mostly not provide a large antenna, this can be compared quite easy… Use a 600$ home and a 1300$ enterprise Laptop and compare the WiFi signal quality, in 80% of all test scenario’s you will see a big difference here and the enterprise Laptop provide a much better signal quality. – Antenna is covered by parts of the device case and/or the signal is blocked in the direction to the Access Point. Simple: Forget WiFi network card’s or USB Adapter’s and take a new approach to setup a roaming solution: Use an Ethernet to WiFi bridge. This way is more expensive then a funny USB WiFi gimmick solution, but it will work and you have a lot of different solutions available depending on the scenario. Benefit: The thin client/end device don’t has to deal with the WiFi connection at all, these device also do have more seperate antenna’s and very often more then one connection interface/circuit to provide permanent connection stability. It’s driver independent and it will work with Windows CE, Linux and Windows based end user devices out of the box thru the ethernet port. Usage: Industrial WiFi requirements, Thin Client and WiFi device are mounted on a cart, truck, construction vehicle or similar. This solutions is not or only limited useable for regular Office walk thru designs. 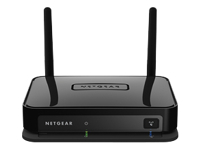 From the lower price segment these devices will work good for small/medium environment’s: Netgear WiFi Bridge N900, Price ~100 US$, two antennas (picture) or Cisco Small Business – WET200 Bridge, Price ~130 US$ with two antennas. For outdoor solutions and high end requirements (large range/two or more connection circuits) the price range can go up to 1000 US$ or more. In any way: All devices that can be used as a WiFi Bridge (mostly all Access Points/Routers) can be used for this trick and they provide much better results then any WiFi USB dongle will do. Update: I’ve been asked for an high end outdoor solution device, look @ Funkwerk/Bintec (www.teldat.de) for Bridge devices, the biggest devices can handle up to a 5km (4 Miles) distance and they always come with multiple circuits and antennas like the W1002n (up to 1000m range). But please: These devices are mostly not designed for indoor use and are very expensive (between 400 and 3000 US$)! So for industrial use in construction areas, mines or similar it might be ok but for the use in a habitation or indoor: Forget it please!!! P.S. : Like everytime no guarantee from my side and you need to test this! This article is also only for mobile clients moving around in a building or area a lot! Today i’ve tested an older Sitecom WL-113 WiFi USB Adapter together with the IGEL Universal Desktop LX/OS and it works without any issues for me. 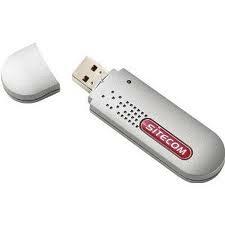 The Sitecom WL-113 was available a long time, so if you still have some of these devices you should be able to use it together with your IGEL Linux based devices. The information’s on the device are not much and i was not able to figure out if alway’s the same design/chipset is used, but it worth to try it. The Sitecom WL-113 is using the ZyDAS ZD1211 chipset which is not mentioned official by IGEL, so similar devices can be also compatible to the IGEL Linux. 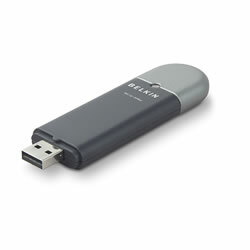 Today i tested the Belkin Wireless G USB Network Adapter (Ralink RT2573) with the IGEL Universal Desktop LX and OS system. In both cases the adapter works perfect for me, of course i can’t guarentee this at all. I’ve tested the Version: Belkin F5D7050 (http://www.belkin.com/IWCatProductPage.process?Product_Id=179211) together with WPA2 /WPA.